We provide the 1oz American Buffalo coin (gold bullion) that you can directly source from our global wholesale market places. The primary benefit our markets offer you is that they are institutional wholesale markets. This means that bullion products are traded with the lowest premiums and price spreads in the industry, and you can directly tap into these markets to buy low cost bullion products before they make their way into the retail markets where they'll receive their inevitable price mark-up. These global markets are known as the Allocated Bullion Exchange. 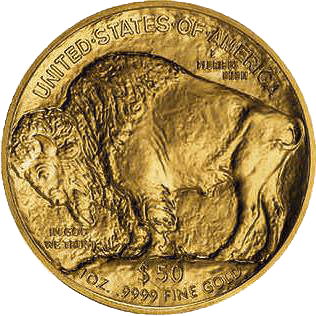 The American Buffalo coin gold is the first American gold coinage that have a purity of 9999 (24-karat). 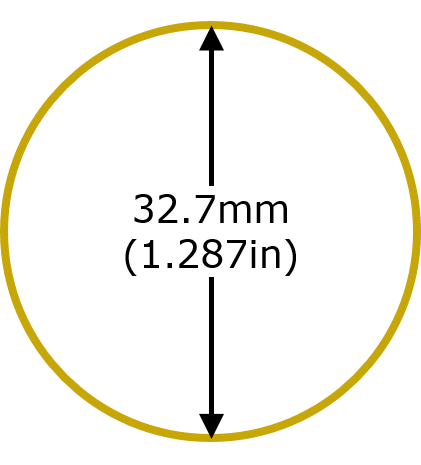 They have only been in circulation since 2006 and only 300,000 are authorised to be minted each year, so they don't really offer the best value for money for due to their lack of availability in comparison to the coins produced by other national mints, such as the 1oz gold Maple Leaf series. Our primary products page lists all of our precious metals bar and coin products. The Buffalo gold coins are all minted at the United States Mint in West Point (which is why the proof coins have a 'W' stamped on the obverse). For the patriotic of you, you'll be interested to note that all of the gold bullion that is used in the production of the American Buffalo coin gold 9999 must be from newly-mined sources from within the United States. Its design originates from a five cent coin that was minted in America from 1913 to 1938 and was originally designed by James Earle Fraser. 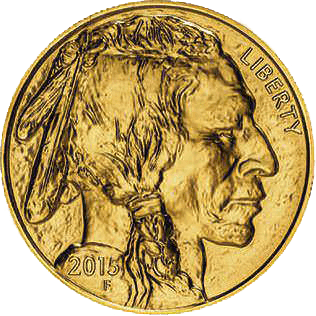 Its original 5-cent nickname was "Indian Head" and the "Buffalo Nickel". The physical products traded on ABX Global's markets adhere to specific contractual terms, which are in the below table. Our bullion brochure contains the specifications for all of our precious metals contracts. If you are unsure of any of the terminology used, please see our explanations. You will need to open an account with us to begin purchasing any of our products, which only requires 2 simple steps. Any questions, just contact us.